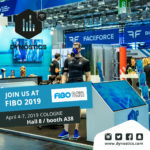 DYNOSTICS is a mobile system for performance analysis ( spirometry ) and facilitates every athlete to reach his personal target effectively and faster. 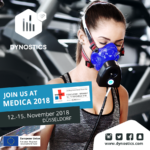 DYNOSTICS at MEDICA 2018 – Be part of the No.1! We are in the process of accessing foreign markets. The project "Markterschließung Niederlande " is supported by the European Union with funds from the European Regional Development Fund.